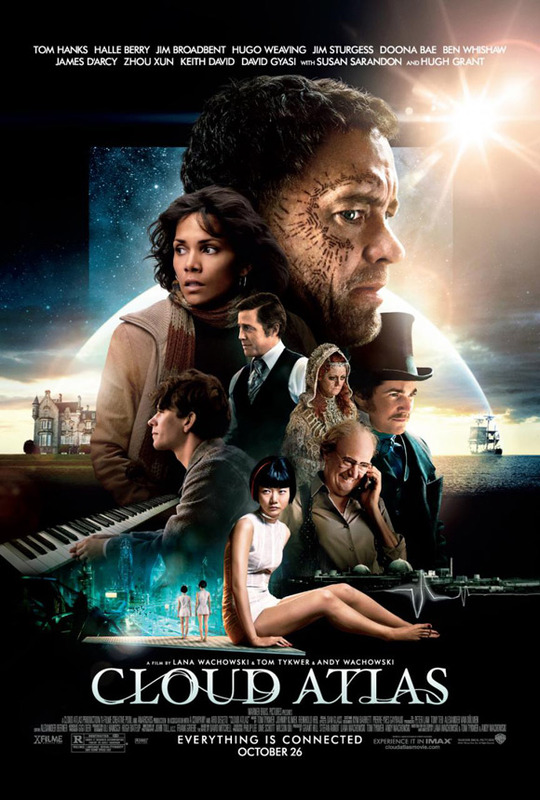 After the long debut trailer, and the shortened theatrical trailer for the adaptation of Cloud Atlas from Andy & Lana Wachowski and Tom Tykwer, it's hard not to be excited for the ambitious project. Now a new poster has shown up before the premiere of the film hitting the 2012 Toronto International Film Festival, and while it's not anything special, it does showcase most of the big name cast, including a tattooed Tom Hanks. Though it seems to take on the more traditional floating head, blockbuster poster approach, there's not much that will sway my excitement for this film when it hits theaters everywhere next month. See below! It's a Photoshop mess but I guess it's hard to make a poster for this one. Why not just feature a picture of Earth with Cloud Atlas in the center of it and the casts name at the top? Kind of reminds me of the Star Wars posters, even the Indie films. Looks like it was rushed. Where are the characters with dodgy makeup on that poster? would've been better if this was a drew struzan painting.